Per la puntata di Spinning on Air di domenica scorsa David Garland ha avuto ospiti Karen Mantler, Doug Wieselman e Kato Hideki, con alcuni brani dall'album Business is Bad eseguiti dal vivo in studio. Video e galleria di immagini sono su YouTube e Flickr. Karen Mantler has felt the economic downturn. In fact, her new album is called Business is Bad. But for Karen, less has always been more. Her jazzy songs are lean, witty, and keenly observed, without an once of fat, or an extra note. Economy comes naturally to Karen. 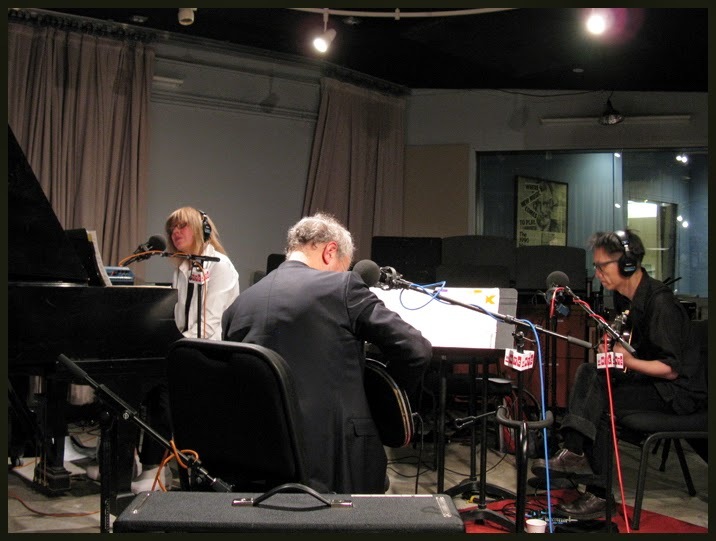 She brings her new trio, with Doug Wieselman and Kato Hideki, to the WNYC Studio, joining David Garland for performances and conversation.